Puddle Adventures with my little explorer. If there is one thing Evelyn loves most about the winter its the puddles! 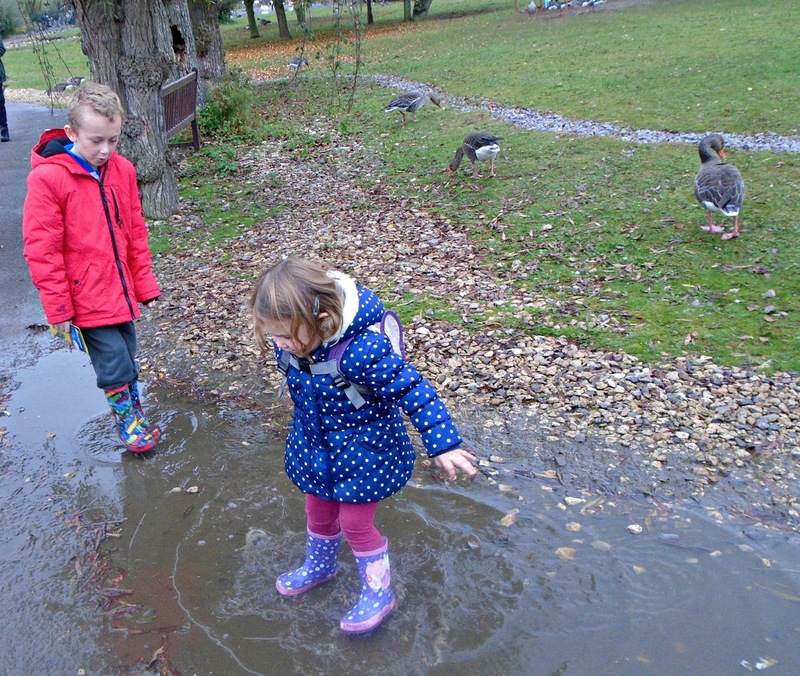 So you can imagine our delight when out latest challenge as HiPP Explorers was to slip on our welly boots and go jumping in puddles. 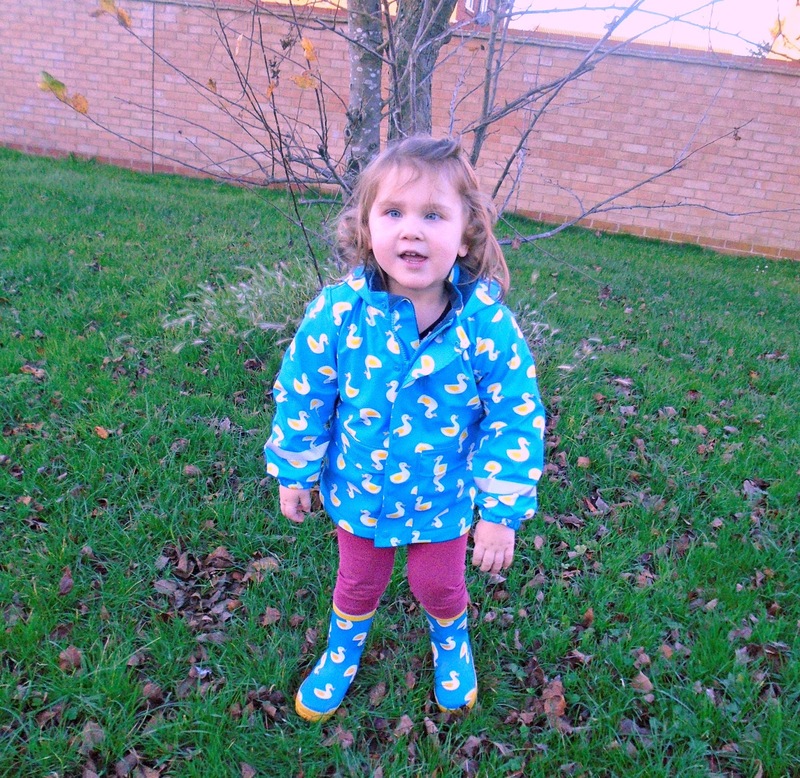 We received these adorable welly boots and waterproof jacket in this very cute duck print from Frugi to help Evelyn keep dry on her puddle jumping adventures!. 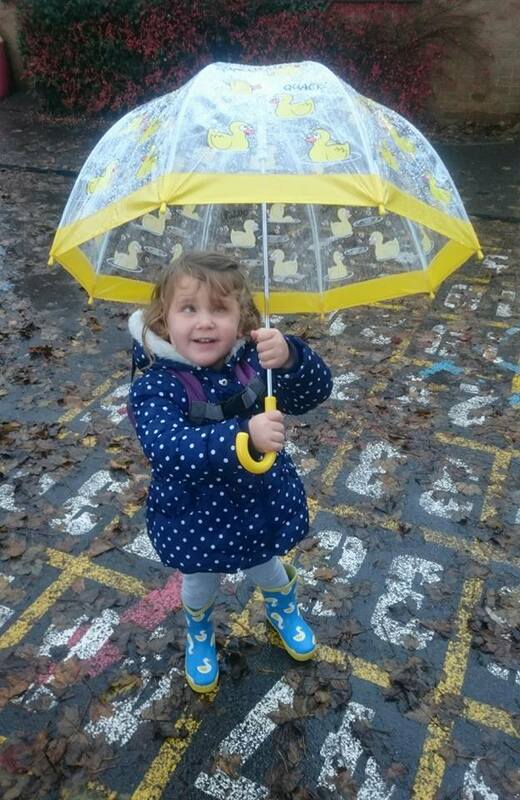 Evelyn could hardly contain her excitement to put them on and get outdoors and insisted on wearing them on the school run just moments after they arrived. 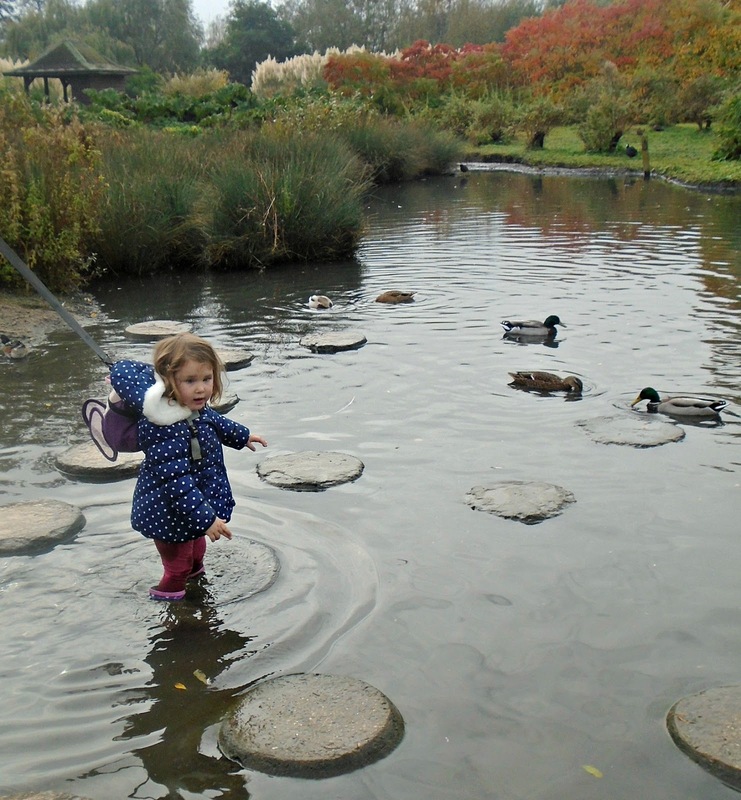 We have a membership to our local WWT wetlands centre which always has lots of puddle jumping opportunities so off we went to find some puddles, and puddles we found. Its not just great for puddle jumping though there are lots of birds to look at and places to explore! Of course all this puddle jumping uses up lots of energy and so starting off the day with a good breakfast is vital! HiPP have a wide range of breakfast products in their range which are made with the finest organic ingredients, providing toddlers with a healthy nutritious breakfast to start the day. Included in this range is the HiPP Organic Fruity Muesli with Crispy Ducks contains the finest organic cereal and have no added sugar. These were a big hit with Evelyn and great for slightly older ones who want to feed themselves as Evelyn found this really easy to scoop up with her own spoon. Also available in the breakfast range are The HiPP Organic range of tasty Porridge Pouches which are the only porridge in a pouch available in the UK. These handy breakfast pouches are packed full of scrumptious 100% organic fruit and wholegrain cereal, providing valuable nutrition for little ones and contain no added sugar, only natural occurring sugars. I really liked the pouch idea and they were especially handy to take along with us on the school runs when Evelyn was being fussy about eating breakfast at home before we had to leave. These would also be perfect to take along with you on day trips or holidays etc as they can just be popped in the a change bag etc. Evelyn loved the whole HiPP range and there is such a variety of flavours available she certainly didn't get bored, which is somehing I do worry about. I felt much happier knowing she had a good breakfast to start the day too since she always seems to be on the go throughout the day! HiPP Organic has a great range of products perfect for breakfast. Visit the website for more details - www.hipp.co.uk. Do your little ones have a favourite breakfast food?